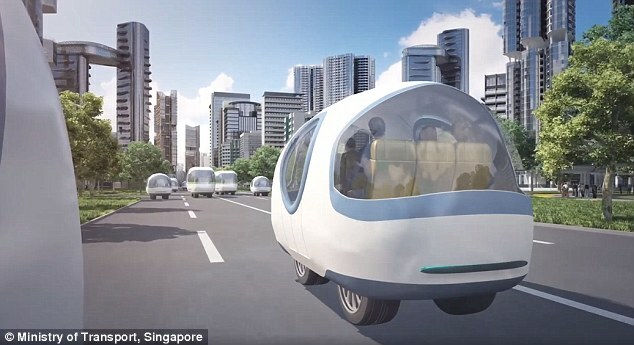 Self-driving buses and shuttles will hit Singapore roads five years from now. According to Transport Minister Khaw Boon Wan, these three areas will be planned with autonomous vehicle (AV)-friendly features. He added that autonomous shuttles can help provide first-last mile connection for residents and workers in these districts. “We expect that the AVs will greatly enhance the accessibility and connectivity of our public transport system, particularly for the old, families with the young, and the less mobile,” he said, at the opening of Singapore’s first AV test centre, called the Centre of Excellence for Testing and Research of AVs, yesterday. Mr Khaw said that a Request for Information has been put forward to seek feedback from industry and research institutions on the key requirements and enablers needed for successful pilot deployments in these towns. He also assured that the Land Transport Authority (LTA) will provide “a safe, controlled and configurable testing environment” for developers to trial their technologies using a range of simulated on-road scenarios, with advanced test equipment like pedestrian simulators. To monitor the progress of AV testing, LTA has installed seven 360-degrees closed-circuit television cameras at the centre. Real-time footage from these cameras will be streamed back to LTA’s Autonomous Vehicle Monitoring and Evaluation System, known as OLIVE. Mr Khaw noted that ST Kinetics and NTU ERI@N have plans to start their autonomous bus trials at the new centre next year.